Corpor@te Facilities Services Ltd are delighted to announce that we have been awarded the cleaning contract at St Oswald’s Retail Park following a competitive tender process. 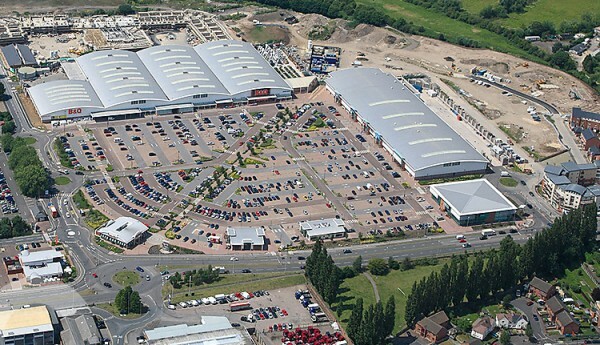 Located north of Gloucester City Centre, St Oswald’s is the dominant retail park in its catchment comprising 19,400 sq m of predominantly bulky goods retail and leisure space over two terraces, including 1,100 sq m of restaurants and 990 parking spaces. As part of our contract agreement Corpor@te Facilities Services Ltd has provided state of the art cleaning technology such as a scrubber dryers and sweeper. In addition we are also utilising our tailored made software package CFS 3D which assist the managing agents with key information and onsite reporting in real time that can be reviewed any time at any location.